Complete congenital atrioventricular block (AVB) may be due to cardiac malformations or the presence of maternal antibodies (autoimmune AVB). Our objective was to estimate the prevalence of autoimmune AVB among all AVB in newborns treated at our hospital. Secondly, we estimated the prevalence of AVB among mothers with anti-Ro/La antibodies and examined the relationship of those fetal AVB with mother’s use of hydroxychloroquine during pregnancy. Retrospective cohort in which we reviewed electronic medical records from years 2000 to 2014 of (a) all mothers with children born with third degree AVB and (b) all pregnant women with anti-Ro/La-positive antibodies. Twenty-three AVBs were diagnosed. 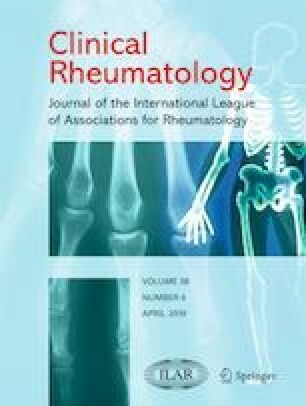 Ten (43.5%, 95% CI 23.2–65.5) were associated with maternal rheumatologic disease. The remaining 13 were associated with cardiac malformations. Sixty-two pregnancies in 47 mothers with Ro/La antibodies were identified; eight (12.9%, 95% CI 5.7–23.8) suffered AVB. Fourteen mothers consumed hydroxychloroquine during full pregnancy (one newborn (7.1%) suffered AVB) and 48 did not (7 newborns with AVB (14.6%); p = 0.5). All congenital AVB diagnosed at our hospital without cardiac malformations were associated with a maternal rheumatologic disease/antibodies. Therefore, if a AVB is diagnosed in a newborn without structural heart disease, the mother should be studied for an autoimmune disease. We found a high prevalence of AVB among mothers with anti-Ro/La antibodies. Although not statistically significant, AVBs in mothers with Ro/La antibodies were numerically more frequent in those not using hydroxychloroquine. • Although structural heart malformations were the predominant cause of third-degree AVB, autoimmune AVB was still a significant cause. • The distinction between structural or non-structural cause of AVB constitutes an essential issue since it determines the prognostic of these fetuses in terms of complications. • Although not statistically significant, AVBs in mothers with Ro/La antibodies were more frequent in those not using hydroxychloroquine. • If an AVB is diagnosed in a newborn without structural heart disease, the mother should be studied for an autoimmune disease. This study was approved by the Clinical Research Ethics Committee of Hospital Italiano de Buenos Aires and has therefore been performed in accordance with the ethical standards laid down in the 1964 Declaration of Helsinki and its later amendments.